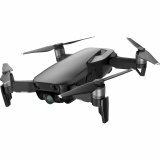 Mavic Air will be available in three colors: Onyx Black, Arctic White and Flame Red. The Malaysia retail price including the drone, battery, remote controller, carrying case, two pairs of propeller guards and four pairs of propellers, is RM3499. 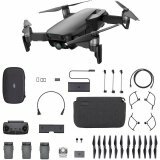 The Mavic Air Fly More Combo includes the drone, three batteries, a remote controller, a travel bag, two pairs of propeller guards, six pairs of propellers, a battery to power bank adapter and battery charging hub, for RM4299. You can pre-order at ShaShinKi.com.